You can grab your choice of two different gaming desktop PCs at their Black Friday prices, a Chromebook at its all-time low, and a nice Samsung gaming monitor at its best price yet. Amazon’s running another of its famous one-day PC sales until just before midnight on Tuesday morning, Pacific time. This time it’s a “PC products” saleRemove non-product link with only four deals. Still, all of these items are at their all-time low prices—some of which we’ve seen before, some we haven’t. 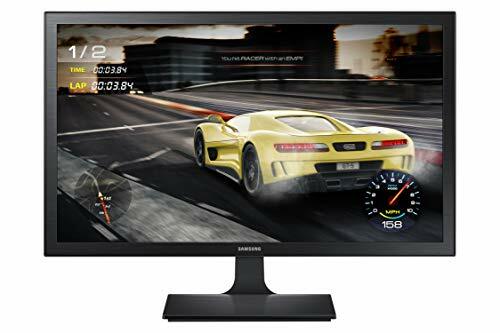 First up is a 27-inch 1080p Samsung gaming monitor for $128, down from $180. It has a 1 millisecond response time and a 60Hz refresh rate. The display doesn’t have FreeSync or G-Sync to synchronize refresh rates between the monitor and your graphics card, but it does have a generic game mode that is supposed to deliver better blacks, optimized screen colors and contrast, and a “flicker free” technology to reduce eye fatigue. Next, is an Acer Chromebook 14 CB3-431 bundle for $240, down from $300, the all-time low for this package. That’s not the cheapest Chromebook you’ll find, but it’s a great deal on a good computer–one I happen to own. It’s packing an Intel Celeron N3160 processor, a 14-inch 1080p display, 4GB of RAM, and 16GB of eMMC flash storage. The Chromebook’s also rocking 802.11ac Wi-Fi and an aluminum chassis. For the price, it would be better if this laptop came with 32GB storage instead of 16GB, but it does come with a snazzy laptop sleeve. Finally, we’ve got two different gaming PCs. Both of these desktops are back at their Black Friday prices. 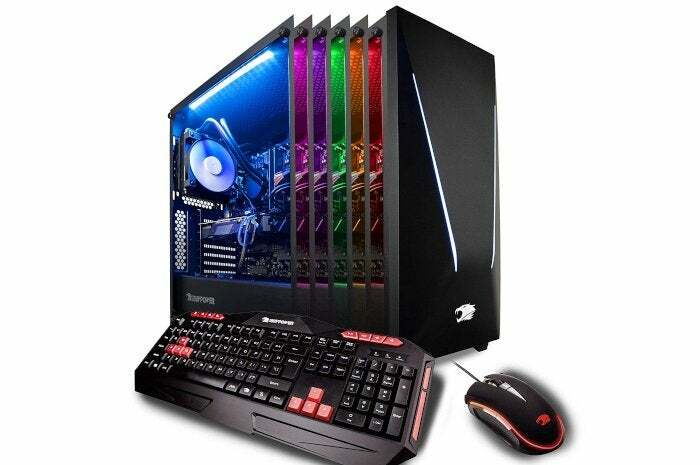 The first desktop is the CyberPower Gamer Master GMA1394A for $1,200 featuring a Ryzen 7 2700 processor with liquid cooler, 16GB of RAM, an Nvidia GeForce RTX 2070, a 240GB SSD, and a 2TB hard drive. That’s a solid configuration for a powerful PC that can handle work and play. The second desktop is an iBuyPower Desktop Trace 9220 for $1,400. This is an Intel-based gaming PC that’s otherwise very similar to the CyberPower one. The big difference is an Intel Core i7-8700K processor instead of a Ryzen chip. It also has 16GB of RAM, a GeForce RTX 2070, a 240GB SSD, and a 1TB hard drive. Whichever machine you choose, the GeForce RTX 2070 is a great graphics card for 1440p gaming at 60fps with all the settings maxed, 1080p gaming on a ultra-fast monitor, or entry-level 4K. It’s also future-proofed thanks to its capability to use ray tracing and deep learning super sampling (DLSS). This story, "Amazon's one-day PC sale features all-time low prices on gaming gear and Chromebooks" was originally published by PCWorld.